Have you been hearing about argan oil and have no idea what it is? Well today we’re going to break down the wonder ingredient as well as some of the top products that contain it. What it is: A lightweight plant oil that is valued for its nutritive, cosmetic, and medical uses, and chock full of Vitamin E. It can be used as a daily moisturizer or treatment for skin, hair, and nails. It is also known as moroccan oil as argan trees grow almost exclusively in Morocco. Uses: You can use argan oil as a moisturizer, treating split ends, softening cuticles, reduce fine lines around your eyes, minimize flyways, and more! 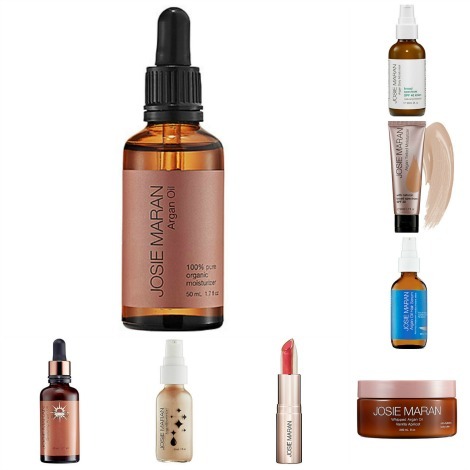 Reminder, the original Argan Oil is actually included in the Sephora Favorites Super Stars Beauty Essentials set that I blogged about last week. Yet another reason to purchase this set ASAP! Don’t forget, it’s available online only and for just a limited time! All my friends who purchased them are already loving them!